Butlin's in Skegness is the latest hospitality and restaurant operator caught up in a widespread meat recall following a serious food hygiene warning. The recall was made after meat supplier Russell Hume was instructed to stop any products from leaving its sites after a surprise inspection by the Food Standards Agency on January 12 found instances of "serious non-compliance with food hygiene regulations." 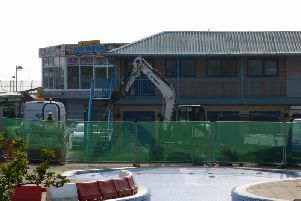 Bourne Leisure, which own Butlin's in Skegness, as well as Haven and Warner Leisure Hotels, said it has used Russell Hume as a supplier. There is no indication that people have become ill from eating meat supplied by Russell Hume. The FSA said in a statement: "Following an unannounced inspection of Russell Hume's Birmingham site on January 12, we became aware of instances of serious non-compliance with food hygiene regulations. "Russell Hume were unable to demonstrate compliance with food hygiene rules at its locations, so we have stopped any product from leaving their sites until the business can provide assurances that they are complying with the relevant legislation, and that they are producing safe food. In its only statement to date on the issue, Russell Hume said: "The product recall was a precautionary measure because of mislabeling. "We have no reason to believe that the product was unsafe to eat." The recall also affected Wetherspoons, with the pub chain being forced to remove steak from its menu at short notice.